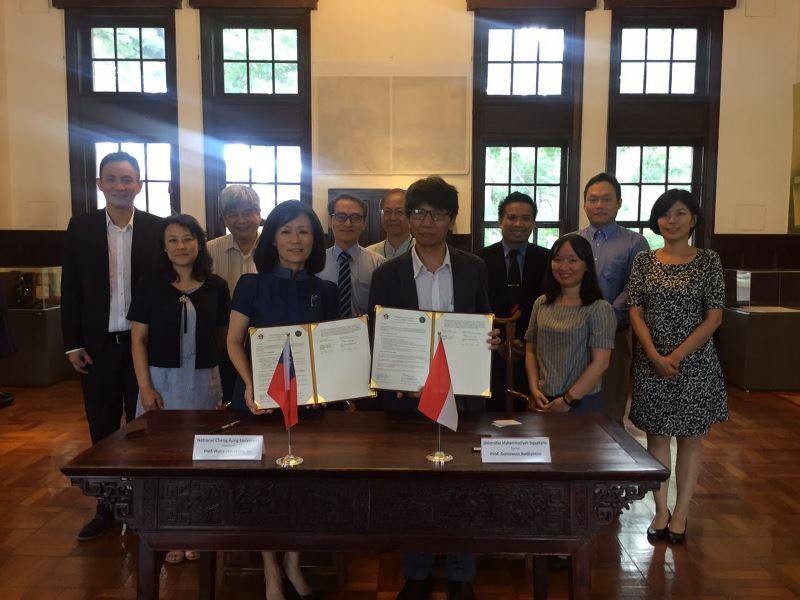 On July, 24th and 25th, Universitas Muhammadiyah Yogyakarta (UMY) and two Taiwanese universities signed the Memorandum of Understanding (MoU). UMY’s representative, Dr. Ir. Gunawan Budiyanto, M.P. made this cooperation with National Cheng Kung University (NCKU) and National Central University (NCU) both located in Tainan and Zhongli. “Prof. Jing-Yang Jou as President of NCU said the collaboration between the universities was very welcomed and the UMY delegation was expected to cooperate more in research and staff mobility,” said Head of UMY International Affairs Yordan Gunawan, when contacted on Thursday (27/7). “Not only that, a visit to NCKU on 25 July was warmly welcomed by the President, Prof. Huey-Jen Jenny Su, Sc.D. In addition, Prof. Huey-Jen acknowledged UMY is the best strategic partner and wished to do various academic collaborations in numerous ways that benefited both parties as stepping stone to greater academic cooperation. NCKU will send several professors to UMY this August as a reciprocal visit and there will be MoU signing between Faculty of Law as well as Faculty of Economics of UMY and Department of Law as well as Department of Economics, College of Social Sciences of NCKU,” stated Yordan. UMY’s delegates also visited ASIA University and were welcomed by Vice President Prof. Ta-Cheng Chen in Taichung, who will come to UMY and sign MoU in the end of August. Perhaps with this bilateral relation may bring life-long learning and enables cultivate passion of knowledge to student and staff.